For those struggling with drug or alcohol addiction, an arrest is a clear warning sign they are reaching rock bottom. Addiction effects careers, health, family relationships, and finances. 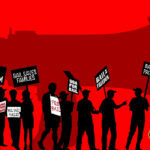 While there are consequences when arrested for either possession or DUI, there is also hope. The Statistics: Addiction in the U.S. In 2015 the American Society of Addiction Medicine reported that 20.5 million Americans were living with a substance abuse disorder. This staggering statistic includes 2 million addicted to prescription pain relievers and 591,000 addictions involving heroin. 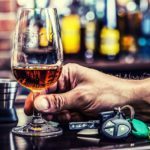 When it comes to alcohol abuse, the statistics show that more than 15 million Americans struggle with alcohol addiction yet less than eight percent of those receiving treatment. Addicts often turn to criminal activity in order to fund their substance abuse. According to the Substance Abuse and Mental Health Administration, 38 percent of first-time arrests relate to alcohol and 18 percent to illicit drug abuse. These rates increase when an individual is arrested two or more times, with alcohol-related to 51 percent of arrests and 36 percent for illicit drug use. 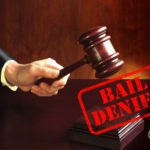 In many cases, a judge requires that a defendant attend court-mandated treatment as a condition of their parole or sentencing. 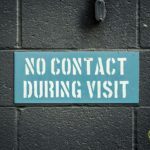 If a judge mandates treatment during the hearing or case, the defendant must follow instructions and attend treatment. Depending on the judge, the order for treatment is either specific or general. Not having a choice regarding treatment tends to be a more effective tool against addiction, according to the National Institute on Drug Abuse. The very real fear of legal consequences for not attending produces better recovery rates than voluntary programs. An addict may receive news of court-mandated treatment with apprehension and resentment. The road to recovery isn’t easy; it is full of challenges and there is a very real chance of relapse. However, once an addict is arrested they must make a choice. Constantly fighting an addiction is exhausting due to the need for money for the next fix, the strained relationships it causes, and much more. Court-mandated treatment is an opportunity to stop running and to finally address the addiction. Addressing suppressed memories, pain, and trauma is an important step to recovery. Many addicts participate in substance abuse to numb issues, both past, and present. A core component of treatment is discovering and healing those issues in order to break the addiction cycle. An arrest for a substance abuse related crime should serve as a wake-up call. Too often, it takes multiple arrests to hit rock bottom. For an addict, it is truly time for treatment when the only two choices remaining are jail or death. It’s never too late to enter treatment and addicts don’t have to wait until they hit rock bottom to take the first step in seeking help. Many people have found success in treatment and it is those people an addict must surround themselves with in order to find their own success. Addiction and substance abuse is a national problem. While the media places a heavy focus on the opioid crisis, and rightfully so, it is important to not forget alcohol abuse. Within the state of Nevada alone, 52 percent of residents drink alcohol and 24 percent binge drink. Alcohol is a leading cause of domestic violence arrests. If you, a friend, or a family member find yourselves arrested in Las Vegas due to criminal activity related to your addiction, contact us. 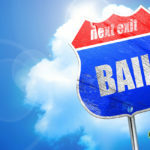 The staff here at 8 Ball Bail Bonds are highly experienced in helping people navigate the arrest process and we will work with you in obtaining bail so you can get started on a road to recovery.